In the 1970s, Mego held the Star Trek, Planet of the Apes and Marvel and D.C. superheroes licenses, and created some absolutely amazing toys that have now become prized collectors items. Growing up, I absolutely loved Planet of the Apes. 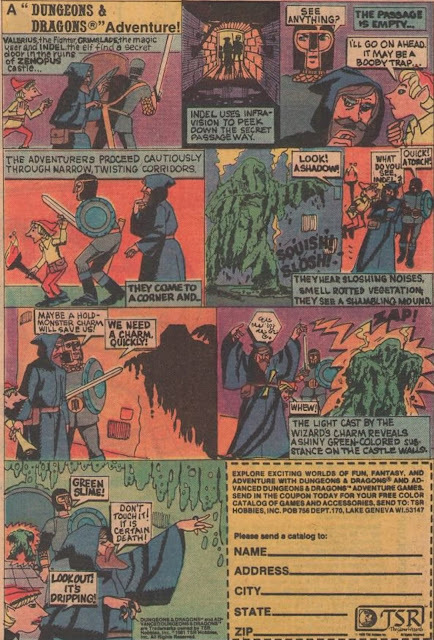 I avidly read the magazines and comics from Marvel, and played with the action figures and play sets from Mego. As a kid in the 1970s, I could find many of these toys cheap at garage sales. I still remember the time I purchased a boxed POTA tree house and Forbidden Zone play set for one dollar a piece. One terrific and much beloved Mego Planet of the Apes toy from this era is the Planet of the Apes Village, a "giant 3 foot play set, headquarters for all Planet of the Apes 8 inch action figures." Truth be told, this play set is highly reminiscent of Mego's Batcave play set, but what the heck. It's still cool. The Planet of the Apes village folds down into a small carry case, and also opens up into this huge diorama of Ape City as seen in the 1968 film starring Charlton Heston and Roddy McDowall. There's a "secret entrance" to Ape City, plus plenty of accouterments. These include a "laboratory table" (for dissecting humans, no doubt...), a flip-up "weapons bench," a "capture net and carry pole," a "detention pen," "3 control sticks" and "3 rifles." When fully assembled (with a green mat bridging the two ends,) the play set is a pretty impressive thing, but I love the fact you can fold it up and carry it with you so easily. The play set itself is made up of laminated cardboard, decorated with some expressive art from the Apes saga (including vistas of the Statue of Liberty and Ape City itself). I'm not sure how much kids of today would love this retro play set, but for me the Planet of the Apes village just absolutely takes me back to the disco decade, and some great times spent in the company of Zira, Cornelius, Zaius, Urko and the rest.